Julian Bliss will lead his Septet in a tribute to Benny Goodman on Feb. 19. POTSDAM -- Tickets are on sale now for a Tribute to Benny Goodman with the Julian Bliss Septet slated for Feb. 19, 2019 at 7:30 p.m. at Hosmer Hall. The concert is the next in the Community Performance Series Guest Artist lineup for the 2018-2019 season. Regular tickets cost $30, $27 and $24. Tickets for seniors, faculty and staff cost $27, $24 and $21. Student tickets are $17, $14 and $11. Visit cpspotsdam.org to purchase tickets online or the CPS box office in person during normal business hours. 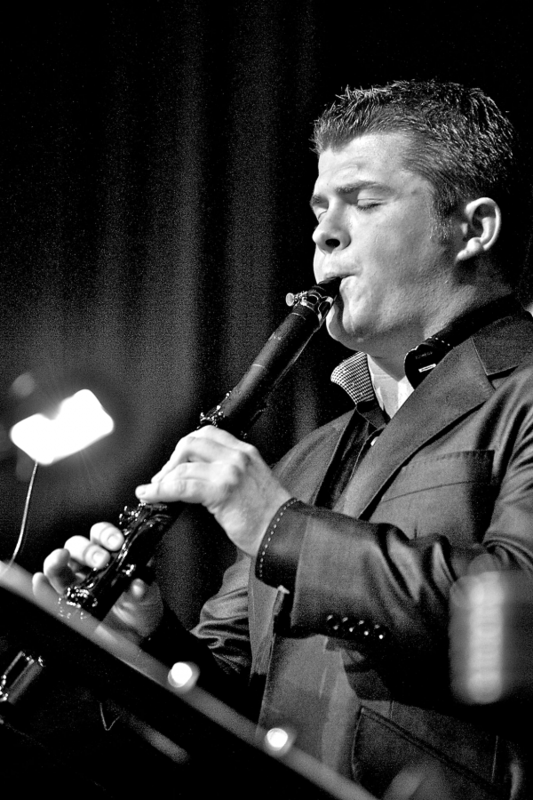 Julian Bliss is one of the world’s finest clarinetists excelling as a concerto soloist, chamber musician, jazz artist, masterclass leader and tireless musical explorer, said the artist bio on the CPS website. He has inspired a generation of young players as guest lecturer and creator of his Conn-Selmer range of affordable clarinets, and introduced a substantial new audience to his instrument. Gracing the stages of Ronnie Scott’s legendary jazz club to the Wigmore Hall in London, Bermuda Jazz Festival, Amsterdam’s Concertgebouw and Jazz at Lincoln Center, the Julian Bliss Septet has shared their uplifting, classy, humorous shows and exceptional musicianship around the world since their formation in 2010. Handpicked by Bliss, the Septet perform shows that combine over 200 years of musical heritage with incredible command of Western classical and jazz, the CPS site said. The band started out exploring the inspirational music of Benny Goodman – a passion of Julian’s since the age of 7 – and has gone from strength to strength with packed audiences and standing ovations around the world. The live show, and consequently their first album, showcased some of the best tunes of this era inspiring authenticity with a modern twist. Tickets are also available for the April 7 CPS Guest Artist Concert featuring guitarist Jason Vieaux and harpist Yolanda Kondonassis at 3 p.m. in Hosmer Hall. Tickets for that performance will cost $35, $32 or $29. Tickets for seniors, faculty and staff cost $32, $29 and $26. Student tickets are $21, $19 and $16. For more information about CPS call 315-267-2277 or email [email protected].